What is Australian culture like? So with the big mix of nationalities, sunny weather, and endless beaches instead of land borders around the country, what sort of people are Australians? Australia has changed incredibly since the days of the old British colony. With the discovery of gold in the 1850s, Scotch and Irish, Americans and Chinese started to arrive. After the Second World War when Australia was attacked by Japan, more than 800,000 Europeans were encouraged to move to Australia. All of a sudden many European cultures were mixed and Australians started making wine and growing olives, drinking coffee and eating home-made cheeses. Many Asians have also arrived since to start a new life in Australia and today our big cities have a Chinatown, a Little Italy, communities of Greeks and Vietnamese. In Spanish Australian restaurants you’re served by Spaniards, in Indian restaurants by Indians and in South African restaurants by South Africans. 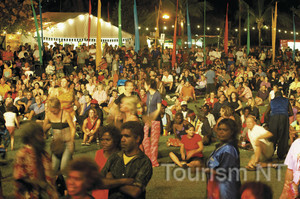 Top it off with Aboriginal and Torres Strait Islander people, and you get a colourful mix where everyone feels at home. The country continues to attract many people from around the world. 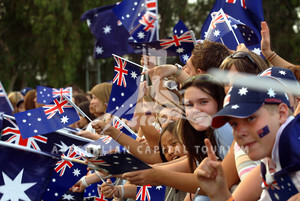 Here is where you can find more information about life in Australia and how to start it here from scratch. From all these different cultures, Australia has developed its own variable cuisine, made from local products in a climate where fruit and vegies grow all year around. Every state celebrates its food festivals with cuisines mixed from Europe, Asia and Middle East. Every state has also its specialities (although it doesn’t mean it’s the only place you can get them), like oysters and honey from New South Wales, tropical fruits from Queensland, dairy products from Victoria, salmon from Tasmania, olive oil from South Australia, cheese from Western Australia. All that said, the average Aussie loves a simple steak on a backyard barbeque. And there is plenty of beef in both city and ouback restaurants. With the perfect climate for grapes to grow, and a lot of Italian immigrants, it is not to wonder that Australia developed an excellent wine culture. Every southern state has their wine districts: Hunter Valley in New South Wales, Barossa Valley in South Australia, Yarra Valley in Victoria, Swan River and Margaret River in Western Australia, only to name a few. Queensland does have the Granite Belt in the very south of the state, but in most of Queensland, the climate is too hot for the grapes to grow. But what grows better in north Queensland? Well, tropical fruits. Today Queensland’s tropical fruit wineries produce wine from lychees, pineapples, passionfruit and pawpaws, with some appropriate names like – forget about Shiraz and Sauvignon – Paradise Gold and Rainforest Red. But when it comes to the amount of consumers, the winner in Australia is – beer. Every state has its breweries: Toohey’s in New South Wales, XXXX (pronounced “Four X”) in Queensland, VB (Victoria Bitter) in Victoria, Cascade in Tasmania, Cooper’s in South Australia and Emu Bitter in Western Australia. 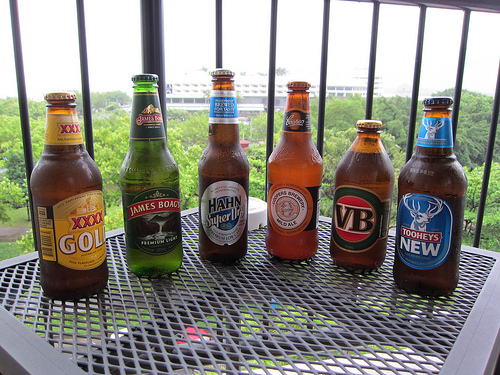 Beer goes hand-in-hand with beach, and Australia has no shortage of either. With miles of beaches to every side of the continent and plenty of sunny days, even the Christmas is often celebrated on a beach. The majority of Australians live less than 50km from a beach, and many are blessed with a beach almost on their doorstep. Cities have at least one famous beach: Bondi and Manly in Sydney, St Kilda in Melbourne, Glenelg in Adelaide and Cottesloe and Scarborough in Perth. It used to be that Australians spent the whole day sunbaking on the beaches, but with the growing awareness about how dangerous the sun is Down Under, Australian beaches are now more commonly used for enjoying watersports, playing a game of cricket or beach-volleyball, or just sitting back in the shade with an esky and having a picnic and a few beers. Australian culture is all about having fun – Australia is a lucky country, and we Aussies know it.